Kodi has pushed-out an early version of its all-new software. The non-profit confirmed the launch of an early version of its latest software in a blog post earlier this week. The blockbuster new update, branded Leia in tribute to the late Carrie Fisher, is currently in alpha – a very early version of the software. Kodi is poised to bring a swathe of new features and improvements to the hugely-successful Kodi media player with v18. Leia brings support for Google Assistant on Android TV set-ups, better support for higher resolutions like 4K and 8K, and numerous improvements to the software to make it better at handling live television. With Kodi v18, Android users will be able to move the Kodi app on their smartphone to the microSD card and run it from there. Unfortunately, the all-new version of Kodi will be the first that drops support for Windows Vista. Given that Microsoft no longer supports the operating-system, which debuted in January 2007, this isn’t too much of a surprise. However, Windows Vista still holds a 0.1 per cent market share of the 1.4 billion people who use Windows across the world. That equals 1,400,000 users who won’t be able to use the latest version of Kodi to stream their own media collection, or install add-ons on their machine. 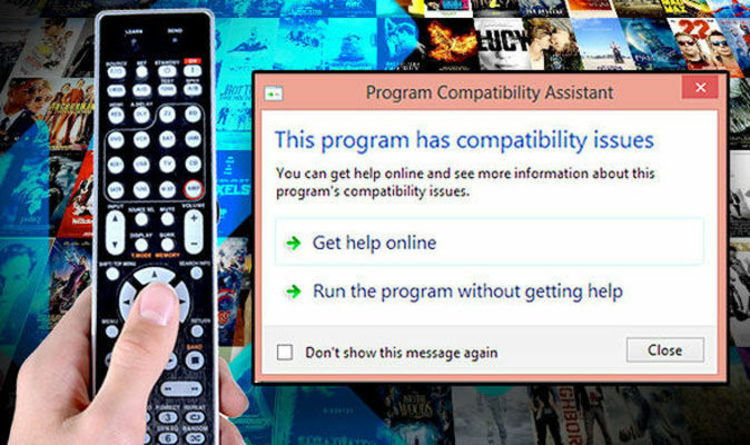 But while those who run Windows Vista on their primary computer are unable to update their system to Kodi Leia, they will still be free to run the previous version of the software. However, they will be unable to use the latest software features and next-generation of Add-Ons without upgrading their machine. Kodi v18 includes a slew of smaller updates and tweaks to improve speed and stability. The Kodi team has parsed through the media player, streamlining older code. Kodi is keeping quiet about when the final update will be available to users to download. In a blog post about the alpha release, the non-profit adds: “You might also wonder when we will actually release this as a final version? “Currently we don't really have a set time however it should at least be somewhere this year so. “There's still enough room left for improvements however we could change our minds at any point in time and just call it ready enough to start the release cycle. If you want to help test the v18 Leia alpha release, Kodi makes it available for free from the download page on their site. Simply click on the platform of your choice and hit the “pre release” tab. For Android and Windows users, Kodi has a download add-on which can be found in the repository.